Gucci has launched new limited flacons for the Gucci Guilty fragrances, both men's and women's: Gucci Guilty Studs Pour Femme and Gucci Guilty Studs Pour Homme. The new packaging follows the current studs trend, but the scents remain unchanged. 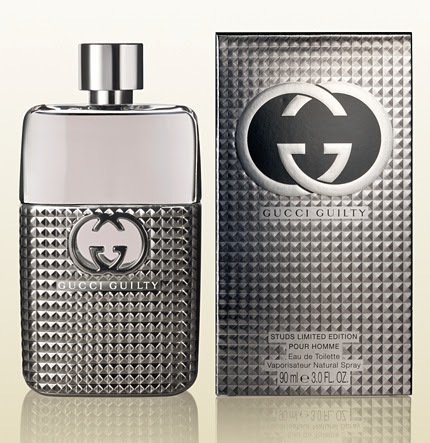 Gucci Guilty for women has notes of mandarin, pink pepper, geranium, peach, lilac, patchouli and amber, while the men's fragrance features lavender, lemon, orange blossom, cedar and patchouli. Gucci Guilty Studs Pour Femme is available in 50 ml EDT and Gucci Guilty Studs Pour Homme comes in 90 ml EDT.